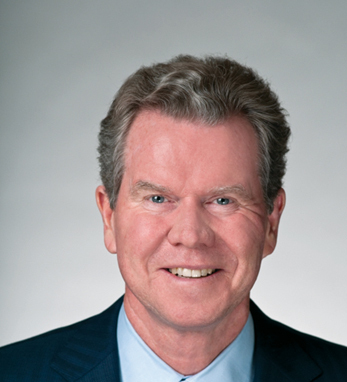 Liam E. McGee/The Hartford Financial Services Group, Inc.
Liam E. McGee, a native of County Donegal, Ireland, is chairman, president and CEO of The Hartford, a leading provider of insurance and wealth management services for millions of consumers and businesses. Since his arrival in October 2009, Liam has led The Hartford’s return to profitability and launched a strategy to maximize shareholder value, intensify focus on customers and brand, and drive superior execution. Liam came to The Hartford from Bank of America, where he was president of the Consumer and Small Business Bank, which serves 50 million consumer households and small businesses. He is a member of the Business Roundtable and The Geneva Association, and on the boards of Catalyst, the American Insurance Association, The Financial Services Roundtable, the University of San Diego, and the Andreas H. Bechtler Arts Foundation. Liam received his BA from the University of San Diego, an MBA from Pepperdine University, and a JD from Loyola Law School.